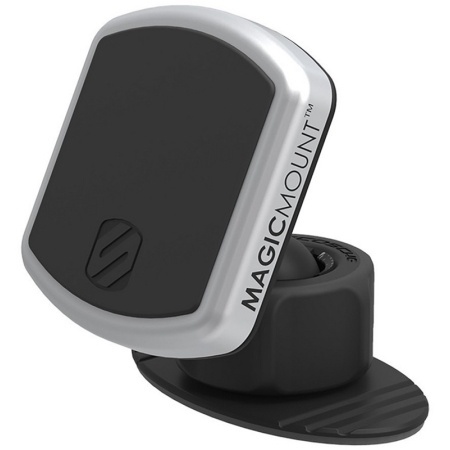 The MagicMount PRO Dash Mount is a universal mounting device for any of your mobile devices. It's sleek cradle-free design uses magnetic mounting to position your device for convenient viewing on any surface in your car. This magnetic surface allows for a secure hold, and gives you the opportunity to view your device at any angle.